Seniors over 65 are more “tech savvy” than ever before. They are participating in social media sites such as Facebook, Twitter, YouTube and more. There are many benefits to seniors for using social media. Here are several reasons for them to do so, especially for those living on their own. But there are benefits for those in senior care or living facilities as well. Social media sites allow seniors to stay in better touch with family and friends. Not just family or peers their same age but younger grandchildren as well. Seniors are able to connect with their young family and participate in their activities and accomplishments. Seniors are able to stay closer with family. Social media is a great tool that provides a way for seniors to do research about topics they are interested in. Also, they are able to interact with others who may be searching for the same information. 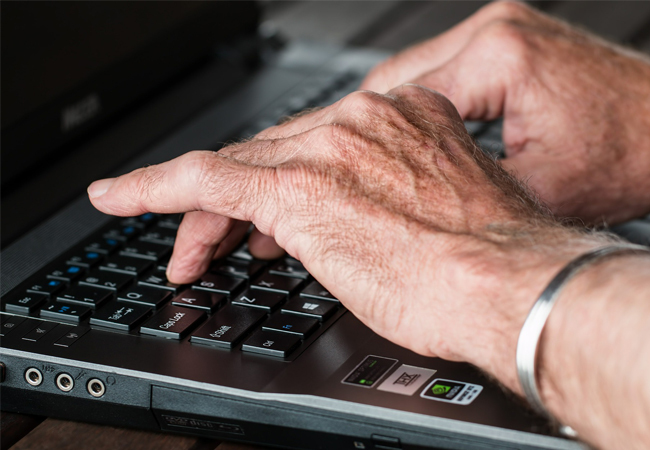 Because seniors are not afraid to navigate websites and research on their own they also are able to connect with customer support services faster. They can speak to representatives quickly and get the answers they need. Social networks allow seniors to meet and socialize with others on both business and relationship terms. They are able to engage int he community and interact with others. Staying socially active is very important for seniors and offers many mental health benefits. If a senior cant leave their house the internet will provide a way for them to still connect and feel alive. Seniors are no longer hiding away from technology; instead, they are embracing it more often than not. The benefits above are enough reason to get your senior connected. However, as the popularity of using these social sites rises so do the risks. Be sure to educate yourself and your friends on how to use social sites safely. Even if it seems that the link came from a friend or trusted source use caution when clicking. This is a common way scammers and hackers can access your data. Never give away your personal information (Medicare number, social security, etc) over unsecured sites. No email! Email is not a secure platform to send confidential information. No legitimate source will ask you for your private information without providing you a secure way to send it. Be sure to read and understand the privacy policies of any social media site you plan to use. You will most likely be sharing personal information (address, work/life history, images, etc). Therefore, treat these sites as you would a site you are entering a credit card. The majority of the time you will be able to ask the younger generation to help you understand social media sites. Use of the internet and social media among seniors has become a healthy emotional outlet and a world of benefits. Be sure to use the sites safely!